The Zone Technique is a healing method created by Dr. Peter Goldman. It is based on many of his influences and experiences. One of his big influences were the teachings of Dr. Thurman Fleet who created Zone Therapy in 1931 in San Antonio, Texas. After learning Zone Therapy in 1993 and refining it over the next two decades, Dr. Peter Goldman of San Francisco, California created The Zone Technique. "There are ONLY SIX kinds of disturbances that can affect the human body. These are GLANDULAR, ELIMINATIVE, NERVOUS, DIGESTIVE, MUSCULAR, and CIRCULATORY. All diseased conditions, aches and pains, and other discomforts experienced by the body can be attributed to one or more of the above disturbances to the body’s 6 systems or Zones." According to Dr. Fleet, the human brain is composed of many centers. Because the body may be properly classified as an ELECTRICAL MACHINE, these 6 brain centers represent the POSITIVE POLE of the body, and specific related points in the spinal cord represent the NEGATIVE POLE of the body. When there is a disturbance in any of the bodily areas, one or more of these centers are “shorted out." Dr. Pete's results speak for themselves. 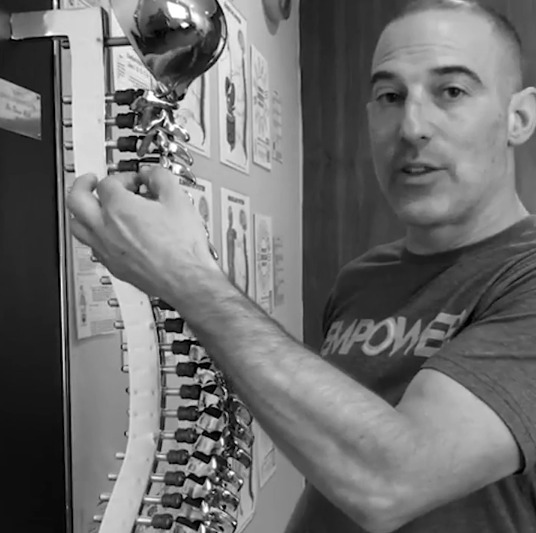 While he gets incredible results with musculoskeletal cases, about 80% of his patients come to him for systemic health imbalances, most after they have tried and failed with medical doctors, other chiropractors, acupuncture, homeopathy, etc. Dr. Pete accomplishes this with only his hands, a flat bench and 2 minute zone adjustments. He has never taken health insurance and his practice generates over $1000/hour. Dr. Pete regularly has patients flying in to see him from all over the United States and the world. Specifically, Dr. Pete's Zone Technique is built upon the principles of Palmer's real chiropractic, combined with the teachings of Dr. Thurman Fleet (1895-1983). Dr. Fleet created Zone Therapy in 1931. The healing results his patients achieved were unparalleled. In the early 1990's, Dr. Pete began studying alongside several of Dr. Fleet's top students and created his Zone Technique. Since graduating chiropractic school, the phenomenal results have continued, leading to patients flying from all over the world to get adjusted by Dr. Pete.